The New Home Company places a high value on the importance of thoughtful and innovative community design. We believe the homes we build reach their true potential when surrounded by desirable community amenities, showcasing smart planning and providing easy access to the city's we build within. Bedford by The New Home Company offers a new way to live in South Corona – a gated residential village connected by private parks, playgrounds, footpaths and biking trails, and natural open space. McKinley Village by The New Home Company is an intersection of new ideas, a new way to live that combines classic East Sacramento living with modern ease and amenities. 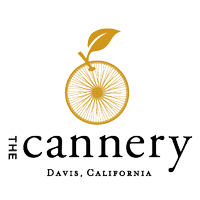 Introducing The Cannery in Davis by The New Home Company, California's new home community made for Davis. Chat with neighbors on the porch. Make meals with fruit and vegetables grown right here. Introducing Russell Ranch in Folsom by The New Home Company, a mix of historic authenticity rooted in the natural beauty of the land and progressive new urbanism honoring how people want to live, work and shop. A new residential experience in Folsom for those who desire privacy, exclusivity and an elevated lifestyle.